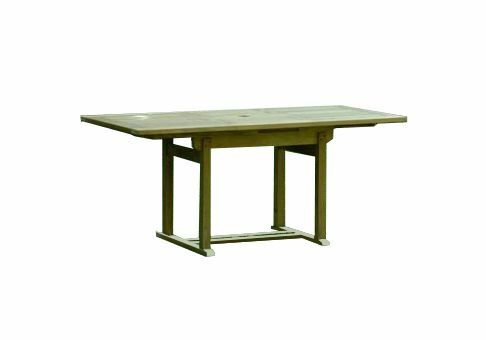 This small extension table is perfect for smaller decks and patios. In its extended configuration, this teak table can accommodate an umbrella. Manufactured with the finest Thai teak available.